Native global flood stories are documented as history or legend in almost every region on earth. It is possible that these flood myths of each culture are actually based on a real catastrophic event that occurred at some point far in the past history of the world and each culture has passed the tale of this flood incident down through the generations. 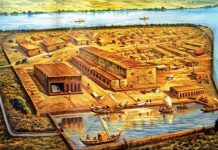 Westerners might be most familiar with the story of Noah told in the Old Testament book of Genesis, but similar flood myths also exist in tales from ancient India, Sumer, Babylonia, Greece, the Maya of Americas and the Yoruba of Africa. There are numerous similarities between the Noah’s Ark and Indian King Manu’s Boat. According to the book of Genesis (chapter 6-9) of the old Testament, Lord was unhappy with the wickedness of mankind, so, God decided to destroy all flesh on the earth by the Flood. However, one righteous man among all the people of that time, Noah, found favor in God’s eyes. With very specific instructions, God told Noah to build an ark for him and his family in preparation for a catastrophic flood that would destroy every living thing on earth. God also commanded Noah to bring into the ark two of all living creatures of every kind along with him and food for them. Noah obeyed everything God commanded him to do. After they entered the ark, rain fell on the earth for a period of forty days and nights. The waters flooded the earth for a hundred and fifty days, and every living thing on the face of the earth was wiped out. At the end of the hundred and fifty days, the waters decreased and the Ark rested on the mountains of Ararat. After Noah and his family went out from the Ark, they released all the animals from the ark. When they exited the ark they built an altar and worshiped the Lord with burnt offerings from some of the clean animals. God was pleased with the offerings and promised never again to destroy all the living creatures as he had just done. After the Flood, from Noah’s three sons, Shem, Ham, and Japheth, the whole earth was repopulated. In various Hindu traditions, Manu, is a title accorded to the progenitor of mankind, who saved mankind from the great Flood, after being warned of it by the Matsya avatar of Lord Vishnu. Matsya Avatar is the first among the Dasavatar Lord Vishnu. Manu was the king of Dravida (South India) or King of Kumari Kandam before the great flood. He was a righteous man, who sought truth. Because Manu was absolutely honest, he was also known as Satyavrata (“One with the oath of truth”). According to Hindu texts, one day, Manu was washing his hands in a river when a tiny fish asked him to protect him from larger fish. Manu took pity on the fish and transferred it to a small earthen pot, and nourished it with care. As time elapsed fish kept growing bigger and bigger, until King Manu first put him in a bigger pitcher and then deposited him in a well. But the fish continued to grow because of which it had to be subsequently transferred to river and finally to the ocean. It was then that Lord Matsya (Avatar of Lord Vishnu), revealing himself, informed the King of an all-destructive deluge which would be coming very soon. Then Manu built the ark, and took the seeds of all things, the Seven Sages on board and a pair of each animal, and they set to sail on the surging waters. Soon he saw the horned fish, and cast one end of rope over its horns. Then the fish began to tow the ark through the tossing, roaring waves. 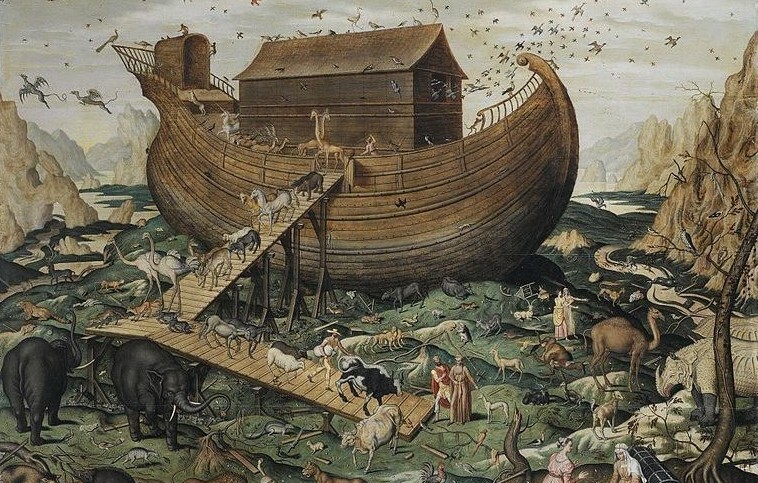 the whole world was covered with water, and nothing was to be seen but the ark only. 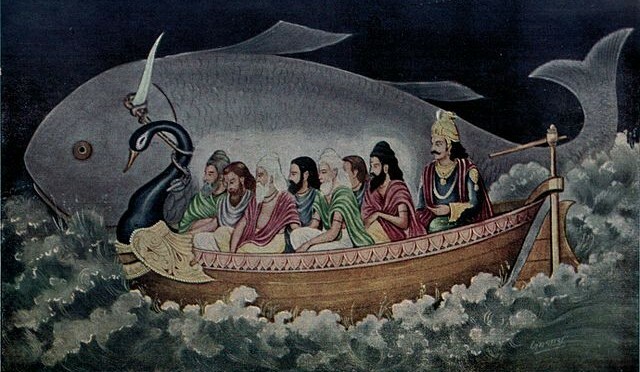 According to the Matsya Purana, Manu’s boat was perched after the deluge on the top of the ‘Malaya Mountains’. These mountains are believed to be located in north India, near Manali. 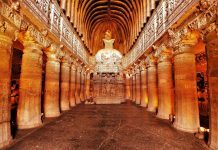 The word ‘Manali’ is regarded as the changed name of ‘Manu-Alaya’ which literally means ‘the abode of Manu’. Manali is also often referred to as the ‘Valley of the Gods’. 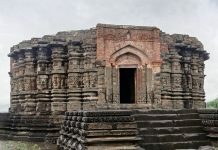 An ancient temple dedicated to Manu is situated in the old township of Manali. The town ranges in elevation from 1,800 m (5,900 ft) to 2,000 m (6,600 ft). Manu stayed for long time on the peak using the food stuffs kept inside the Boat. They returned to the plain land after the deluge or Pralaya and started the new civilization and it is of Manu that all men have been descended, and are, therefore, all called Manavas or Manush. He also was the very first king to rule this earth. According to Vedic litreture, before the flood, Manu had three sons, the eldest of whom was named Jyapeti. The other two were called Sharma and Charma. After the flood he had fifty other sons on Earth. The Biblical flood compared with the Vedic flood. As we compare the biblical account with that of the ancient Vedic account we can note the following features of the flood stories in common between the two accounts. Since Manu was the father of all post-flood mankind, so his descended are called Manavas or Manush. In Sanskrit, the name ‘Manu‘ appropriately came to mean “man” or “mankind“. The English word ‘man‘ is thus also related to the Sanskrit “manu“. If we look into the derivation of the English word ‘man’, it comes from proto-Germanic. Etymologists tell us that this ancient Germanic word ‘Mannus’ is a derivation of the Proto-Indo-European “manuh”. Another Sanskrit form, ‘manusa‘ is closely related to the Swedish “manniska“, both words meaning “human being”. ‘Mannus’ was also the name of the Lithuanian Noah. The same name may even be reflected in the Egyptian ‘Menes’ (founder of the first dynasty of Egypt) and ‘Minos’ (founder and first king of Crete). ‘Minos‘ was also said in Greek mythology to be the son of Zeus and ruler of the sea. In Japan, ‘manu‘ became “maru,” a word which is included in the name of most Japanese ships. In the Sioux language, it took the form ‘minne’, meaning “water.” Thus, ‘Minneapolis’ means “city of water,” ‘Minnesota‘ means “sky blue water,” etc. The original Sanskrit word for “ship” is ‘nau’ and ‘Nau-kha‘, which later passed into our English word, navy, nautical, nausea (sea sickness). This word could very well be still another variant of “Noah,” the first master shipbuilder. It would seem that the convergence between these two ancient accounts is too strong to be due simply to chance. Perhaps one account borrowed from the other? It is highly probable that Noah and Manu were thus the same individual. The academic fakers see nothing, hear nothing, know nothing!